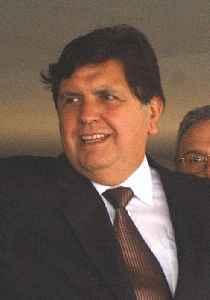 Alan Gabriel Ludwig García Pérez was a Peruvian politician who served as President of Peru from 1985 to 1990 and again from 2006 to 2011. He was the second leader of the Peruvian Aprista Party and the only party member ever to have served as President. 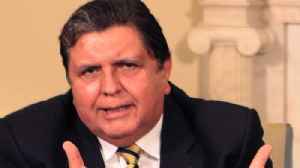 Peruvian ex-president Alan Garcia wrote in an alleged suicide note read by family members at a wake on Friday that he had killed himself in order to avoid humiliation at the hands of his political.. 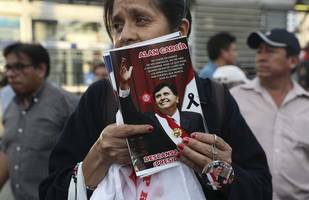 Thousand of Peruvians said goodbye on Thursday in Lima to ex-president Alan Garcia -- who killed himself this week - in the second of three days of national mourning declared by President Martin.. 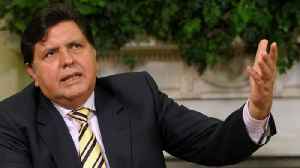 According to Reuters, Peruvian ex-president Alan Garcia wrote in an alleged suicide note, that he had killed himself in order to avoid humiliation at the hands of his political enemies. Garcia shot..
Garcia's political allies blame the press and public prosecutors for his death. LIMA (Reuters) - Thousand of Peruvians said goodbye on Thursday in Lima to ex-president Alan Garcia — who killed himself this week - in the second of three days of national mourning declared by..
Family, friends and supporters gathered on Thursday for a wake in honour of ex-president Alan Garcia, who shot himself in the head this week to avoid arrest. Rough cut (no reporter narration). ​Alan García served two terms as president, from 1985-1990 and 2006-2011. Peru’s former president Alan Garcia shot himself in the head on Wednesday, taking his own life. 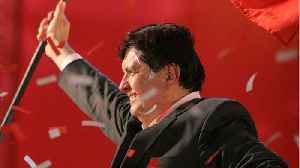 According to Reuters, it was to avoid being arrested in connection with alleged bribes from Brazilian..
Peru’s former president Alan Garcia died in a hospital in Lima on Wednesday, hours after authorities say he shot himself in the head to avoid arrest. Jillian Kitchener reports. 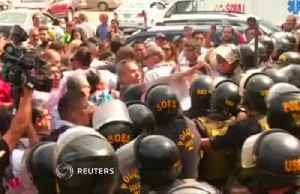 Dramatic scenes outside a Lima hospital on Wednesday as angry supporters of Peru's former president Alan Garcia mourned his death while blaming authorities. Rough Cut (no reporter narration). According to a report by Reuters, on Wednesday, authorities said that Peru's former president Alan Garcia died in a hospital in Lima after shooting himself before police arrived at his house to arrest..
Peru's former president Alan Garcia died in a hospital in Lima on Wednesday after shooting himself as police arrived at his house to arrest him in connection with a bribery probe, authorities said on..
CNN reports Peru's former president Alan Garcia is in critical condition after shooting himself in the neck. 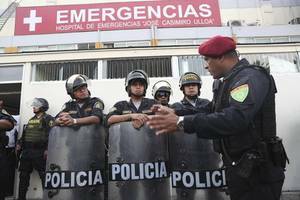 Peruvian state news agency Andina reported Garcia was rushed to the hospital in Lima on.. The body of former Peruvian President Alan Garcia was taken to the headquarters of his political party for a memorial service on Wednesday, after he fatally shot himself in the head as authorities..
Peru's former president Alan Garcia shot himself in the head on Wednesday to avoid arrest in connection with alleged bribes from Brazilian builder Odebrecht, taking his own life, in the most dramatic..
Alan Garcia was the charismatic chameleon of Peruvian politics, once popular enough to be elected president twice. 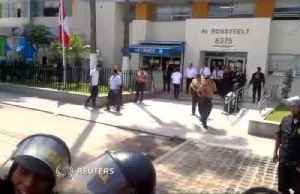 But his terms were filled with ups and downs and he eventually became caught up in the..
President Martin Vizcarra announced the death on Twitter, saying that doctors in the capital city of Lima performed emergency surgery. 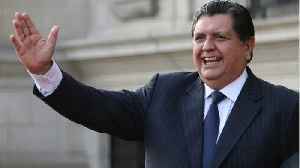 Peru’s former president Alan Garcia died after shooting himself early on Wednesday just after police arrived at his home to arrest him in connection with a bribery investigation, Garcia, 69,..
Two-time president Alan García shot himself as police came to arrest him over corruption claims. 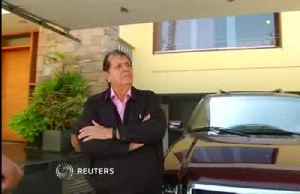 Peru's former president Alan Garcia shot himself in the head at his home Wednesday as police were about to arrest him in a sprawling corruption case, his lawyer and hospital officials said.